My knowledge comes from experience helping build fast-growing businesses at BCG, The NutraSweet Company, Silliker, Ariba, ServiceChannel and working with consulting clients in varying industries. But I’ve also learned by studying the academic literature of “two-sided” markets, observing closely (and participating in) the marketplace debacle of the late 1990s, studying the evolution of the successful payment platforms of Visa, American Express, MasterCard, and PayPal; studying GXS and Sterling in EDI, and even learning about the economics of shopping malls. How to apply spend management principles to a difficult spend category: leased equipment. A good book on the intertwined nature of economic thought and the development of new market types. A quick and easy guide to Marketplaces by Boris Wertz. 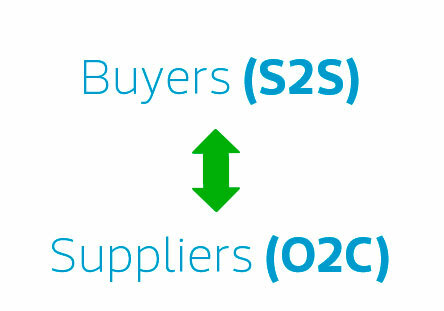 Mainlty targeted at B2C and C2C marketplaces, but can be adapted to B2B marketplaces. Worth the time. Published in 2016, a great look at mainly B2C platforms. 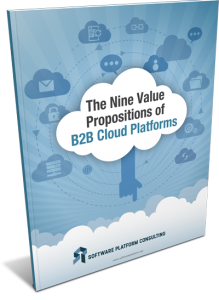 If you want to learn about the Nine Value Propositions of B2B Platforms, but don’t like to read e-books, this infographic may be for you. This diagram divides nearly 600 B2B software providers, most of them platforms or networks, into industry, source to settle, and order to cash segments. This one-page diagram dissects the “source to settle” and symmetrical “quote to cash” processes. 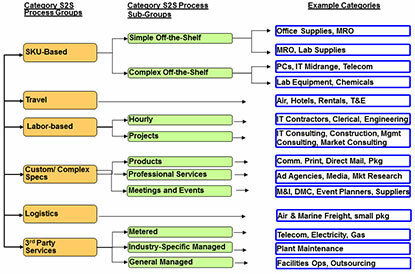 This one-page diagram segments B2B spend categories by “Source to Settle” process and provides examples of platforms designed to address each process. 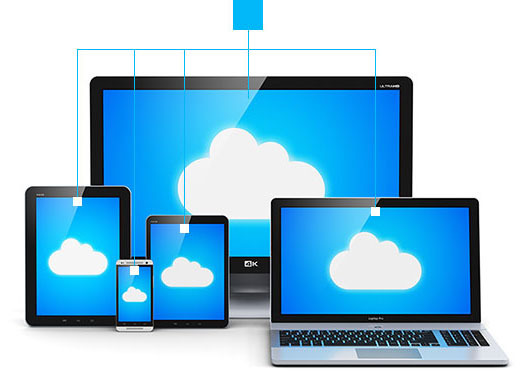 What does interoperability of networks mean? How does it come about? What can we learn from the history of other networks? If you are into platforms, you should read: Invisible Engines, Paying With Plastic, and Catalyst Code. Published in 2004, this was an early study of how business networks resemble biological ecosystems. Another excellent book on platforms, Platform Leadership by Gawer and Cusumano. Just as the name implies–great stuff in bite-sized pieces. Andrei Hagiu writes great stuff, including Strategic Decisions for Multi-Sided Platforms. 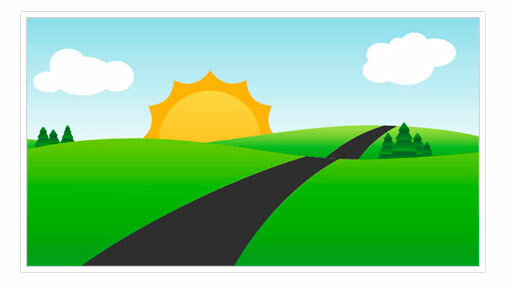 Many of the academic luminaries in the area of platforms and two-sided markets have a great website at platformeconomics.org.